This holiday offers a classic combination - in many ways it is the ideal holiday combining the 7 night Classic Nile cruise with an equal amount of time relaxing in the stunning Red Sea resort of Abu Soma. The perfect blend of history and culture with a generous helping of sun, sea and sand mixed in for good measure. Most people to relax in the sun after their Nile cruise but you can choose this combination in either order. 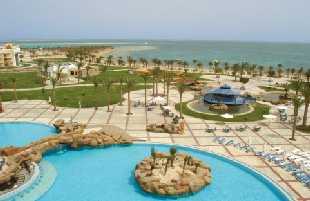 You can tailor this holiday by staying in a different hotel or Red Sea resort. Please call our sales office on 0845 344 0342 or use our tailor made enquiry form for alternate accommodation options. 7 Nights stay at Intercontinental Hotel at Abu Soma.